I am Denise Orzeck, living in Orange County, New York. Growing up in Pine Island, NY, also known as “Black Dirt Country”, I come from many generations of farmers. It was here that my philosophy of physical, mental, emotional, spiritual and nutritional interconnectedness was cultivated. Being raised among the fields of fresh produce and black earth with a strong intuition for sensing others personal traumas and internal blocks since childhood, I have sought out alternative methods of healing using natural and spiritual resources in unison. Through my personal experience and application of my discoveries I found my true path and, so, my journey began. My passion and intrinsic desire to heal and provide peace to the lost and wounded was self-actualized early in life as I was the sole caregiver of my ailing father. Always wanting to touch and lay hands to heal, it was at this time that I truly started applying nutritional and holistic methods to his care. After his passing, I took a position as a Certified Nurse Assistant and spent over 30 years in the health care industry while integrating holistic techniques, lifestyle modifications, and nutrition with a hands-on approach to attune the mind, body, and soul. I am a Licensed Practical Nurse with a career focused in Alzheimer’s and rehabilitation. It is through the process of rehabilitation that I saw the profound role nutrition, spiritual guidance, mental strength and emotional determination play in physical recovery. It was then that I began my intense study of healing the “self” through “oneness”. I was naturally led to Young Living Essential Oils upon delving deeper into my quest to further understand and apply alternative methods of care and healing. For a decade I have used them to support my own and my family’s body systems. Throughout this experience I felt a connection to my higher power and was driven to become ordained as a Holistic Minister Practitioner. To this day I continue to use the oils in my holistic practices: medicinal remedies, therapeutic techniques, organic nutritional guidelines, and as an herbalist and aroma-therapist. Now having amassed the knowledge and provided optimal care for the mind, body and spirit of countless lives originally plagued by mental and physical disorders and defects, it is my mission to teach and provide others with my personal and professional experience as a holistic minister, practitioner, and master instructor. Experience gentle, yet powerful healing in a session with Jennifer, a certified Holy Fire Karuna Reiki Master/Teacher and Primus Activation Healing Technique (PAHT) Practitioner. Reiki is a Japanese technique for stress reduction and relaxation that promotes healing in the body. It raises the vibratory level in the energy field of the body, clearing, straightening and healing energy pathways to allow life force to flow in a healthy, natural way. PAHT is a healing technique which causes the body’s electromagnetic field to come into resonance with specific energy frequencies that create measurable physical effects and powerful spiritual awakening. Jennifer is an intuitive healer who also frequently calls upon crystal energies to assist in healing sessions. She is currently working on a two-year course of study for her certification in Crystal Resonance Therapy (exp. Summer 2018). 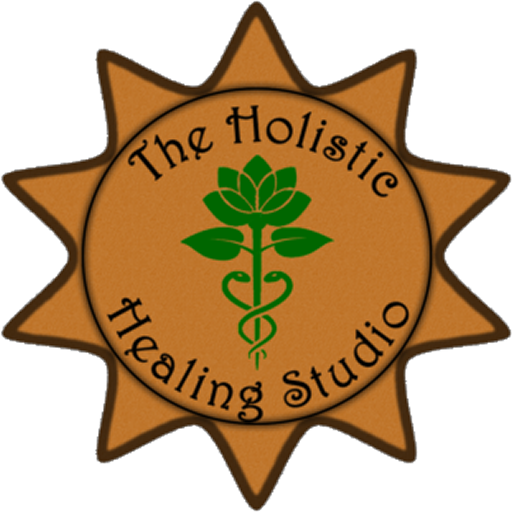 As a healer, her overall goals are to open channels of energy flow and reduce stress reactions in the body so clients may begin to heal on a deep level. She will also focus specifically on physical, emotional or spiritual concerns that clients bring to the table. My name is Rebecca Atlas. My interest in yoga began when I came across a passage about yoga philosophy. This passage gave me such hope that I started reading every yoga book I could find. I decided to become a yoga teacher in hopes of empowering others to find the divine within themselves. My goals are to share what I’ve learned, to inspire my students to spread light and love and to inspire my students to look within and become the best versions of themselves. Tim began his Chi Kung training in 2009 and never looked back since his first class. He wasn’t quite sure how to explain how things changed that day but he knew he felt great and needed to continue to explore this curious practice. Throughout his journey he was consistently mystified by the seemingly impossible and amazing things that he learned. He had no choice but to constantly expand his ideas of what was possible and redefine ways to use this knowledge. To his delight and honor, his teacher (Gary McCabe) recognized his passion and took him on as an inside student in order to pass the most profound information of his lineage. Tim began to show friends and family this art and nearly all of them noticed the benefits and commented on how great they felt after practicing. The next time he saw them he would ask if they are continuing to do the things he showed them on their own. Of those that replied that they haven’t, the number one reason was they didn’t have time. Recognizing that time was the thing that held the most people back, Tim began focusing on developing a system that uses easy to learn, short, and simple techniques and concepts that can be incorporated into a modern daily lifestyle. Tim currently resides in Northern New Jersey and continues to train with his teacher on a regular basis. He loves music, sunsets, and the wonders of nature and energy. He is dedicated and passionate about sharing his knowledge and thrives to show people how to improve their health and well-being in ways they may have never thought of. Jennifer Monroe’s intention is to give each one a personal healing experience within themselves. To provide and create a safe, meditative, and welcoming environment for the students. Jen is a yogi with her 200 hour Certification in Vinyasa Flow, at Indigo Yoga. Jen stumbled upon yoga in 2012 while attending a yoga festival; Evolve Fest. Yoga took her interest because it gave her the time to relax, and release, after a long day. Jen has practiced a wide variety of yoga forms including: Vinyasa, Kundalini, Ivengar, and Aerial yoga. She enjoys kicking her shoes off and digging her feet into mother earth. She spends a lot of her time jamming out to music and lets her mind wander onto the canvas. Jen loves bonding with new faces, and sharing energy together for the same purpose. Peace.Namaste. Miranda Jodice is a dog enthusiast, nature junkie and artist. She has completed her 200-Hour Vinyasa Yoga Training, and offers a playful sequence with a touch of inspiration and encouragement of physical and spiritual growth. Miranda was called to yoga seeking something more than herself, and hopes to help others do the same along their journey. Readings should be personal, relaxed and give genuine guidance. My readings are a combination of traditional and intuitive tarot while using spirit guides and family to give very personal messages. I truly believe that my job as a reader is to listen, bring a positive outlook, connection and answers to people. As a child, I was able to connect to spirits in my dreams. After training in Shamanic healing, I have become able to fine tune this connection to contact spirits in a waking state; allowing me to become a translator for my client’s and their loved ones or guides. Having spent her younger years very connected to the animal and mineral kingdoms in both the Us and Canada, Therese was guided to explore and study Native American culture, including the role and importance of the medicine wheel. As a result, she created a unique metaphysical reading system called Stone Medicine Life Journey Readings nearly 20 years ago. This system is based on the Native American medicine wheel (Ojibwe) that offers the receiver direction, guidance and insight in their life and the path they are already on or entering. Therese also shares psychic and mediumship messages that may be a part of the reading as she walks you through your journey and connects you to many animal totem and other aspect stones. Whether you need confirmation, clarity direction or counsel, this in-depth reading is sure to please. Angela Rae Hassan is a Reiki Master who feels a calling to the service of others. She feels that Reiki is doing what is natural, restoring the flow of the energy within us. Reiki is a healing technique for stress reduction and relaxation. Reiki balances and aligns one’s energy centers while clearing blockages and healing on the physical, emotional, mental, and spiritual levels. Reiki is said to be simply: universal life-force energy. This energy is whole, rather than dual, and expresses the quality of unconditional rather than conditional love. It is a part of all of us. Angela also practices Zen Buddhism, Peruvian Shamanism, is a 200 hour and 500 hour certified Yoga Instructor, a Minister, and a Past Life Regression Therapist. Her other interests include music, nature, outer space, and crystals. Enjoy a session with Laura. Laura is a nature lover who believes in helping others awaken to the magic of everyday. Laura reads palms as well as tarot cards using, The Alchemical Tarot. Couple readings are available upon request. An empath and Reiki Master, Laura is also studying the Chumpi Illumination Healing System derived from the Andes. Liza has been teaching fitness classes for adults and children alike for more than 5 years. She is a certified personal trainer as well as a yoga, dance-fitness, and spin instructor. In all of her classes, Liza aims to break through limits and create a safe environment for growth, learning, and development. More than anything she wishes to share her love for movement as well as inspire others to live fearlessly in pursuit of their dreams. I emphasize the importance of self love. Everyday, I either use art, music, nature, or some form of yoga for self care and expression. I earned my 200 hr yoga certification in 2016 at Yoga Youniverse of Sparta, NJ. I specialize in teaching Hatha/Vinyasa Yoga and Aerial Yoga. In my classes, I like to focus on the importance of breath control, working together with proper form to promote strength and balance in the body. I also help open up one’s range of motion and mobility, rather than focusing on just flexibility alone. I also hope that I can help show people how yoga and meditation can be used as a creative outlet as well. I genuinely hope my students leave feeling refreshed and rejuvenated, and can (with regular practice) live stress free and pain free lives.